Exciting news! I will be teaching weekly watercolor classes at Arts Umbrella in Bothell! 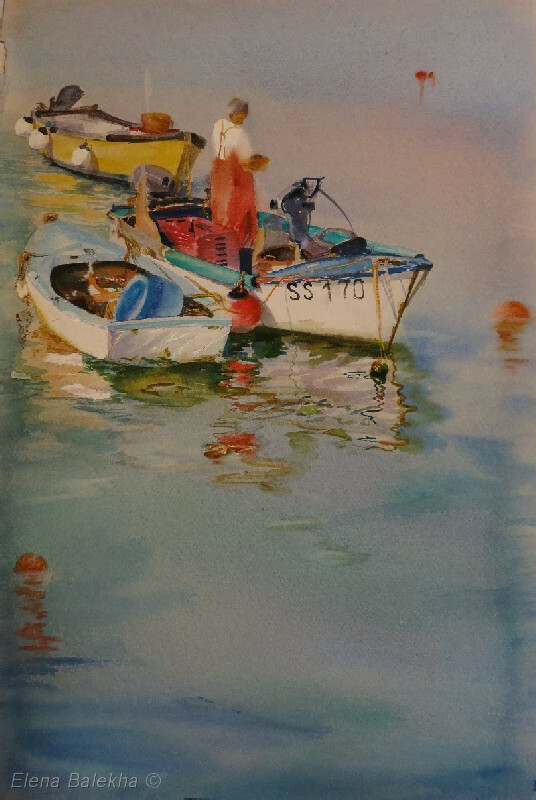 Fun and engaging classes would help you to unlock your creative potential and to gain skills in mastering watercolor medium. Class consists of daily demo, lecture, easy to follow step-by-step instructions, as well as plenty of time to work on your painting. This class is suitable for beginners as well as intermediate level painters. Can’t wait to share watercolor magic with you! Please follow to my class page to get full information and to register. It’s a perfect last minute Christmas present for loved ones too! You are welcome to contact me directly at art@elenabalekha.com to register, with your questions, and for further information. Very excited to announce my new studio and gallery at Bothell! Heritage Gallery & Studio is open to public 3 days a week, Thursday, Friday, and Saturday 11-5, by appointment, and for special events at Country Village Shops at Bothell. Our Gala Opening and reception will be November 14, from 3pm to 6pm and continue with Wine Walk until 9 pm. Please come meet the Artists: Irina Kirienko Milton, Elena Balekha, and very famous guest artist- Ned Mueller.